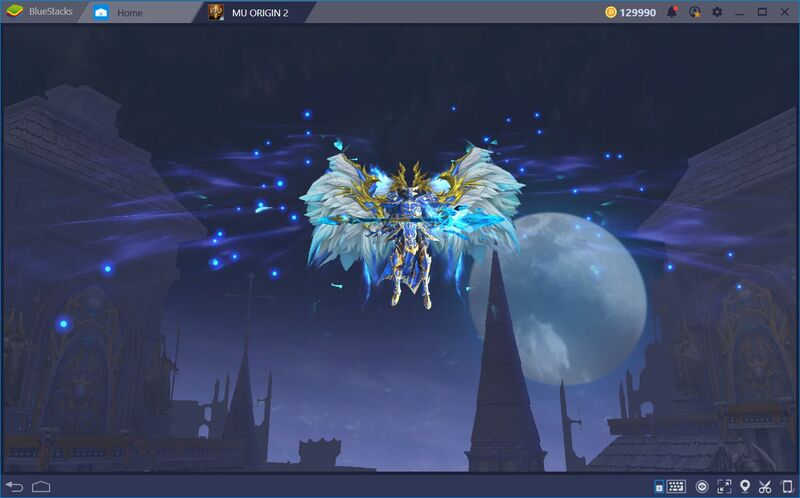 Most MMORPGs for mobile devices have several aspects in common. Even though their narratives often differ, the way in which they are played is similar in most instances. 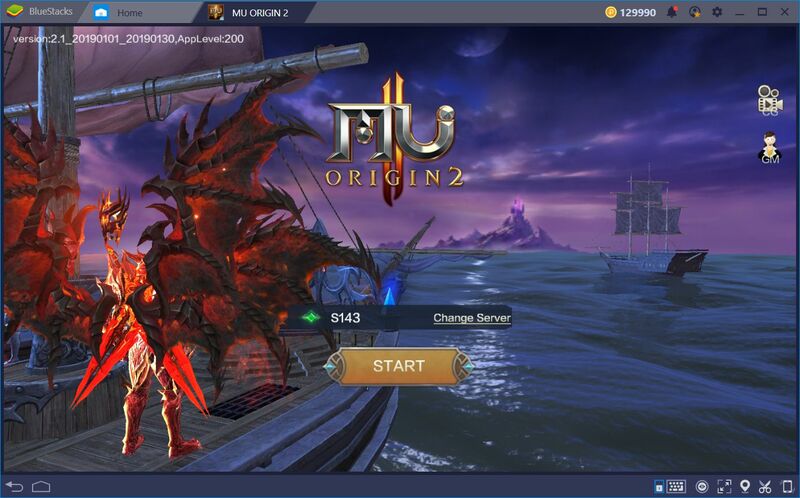 In our review about Mu Origin 2, we mentioned how this game is similar to titles such as Lineage 2 Revolution or Daybreak Legends, both in their UI and gameplay aspects. However, each game offers a selection of classes and characters, all of which vary from title to title, and which determine how each of these is played. In MU Origin 2, you can choose from 4 different classes, each with their own skills and roles. These differences make each class perfect for different play styles. In this sense, while some of you can choose to be a powerful warrior that demolishes everything with brute force, others might prefer decimating their foes from a distance using spells. However, aside from their different skills and appearances, every class also panders to different types of gamers. 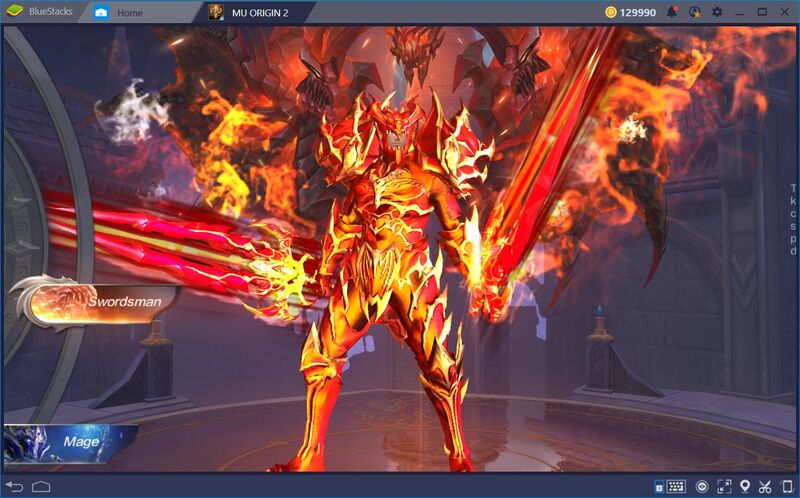 In this guide, we are going to talk about the different classes in MU Origin 2. Specifically, we will talk about the role that each class fills, as well as the play styles associated with each one. Known formally as Swordsman, they are powerful heroes that value strength and martial prowess above all else. These warriors are trained in a variety of melee arms to slice and crush their foes in a demonstration of sheer strength. With that being said, all of their attacks, in many ways, involve different physical movements and acrobatics, leaving behind the subtlety and finesse of the bow and arrow, and the powerful versatility of magic. Due to these weaknesses, this class suffers somewhat when it comes to ranged combat. However, they compensate for their shortcomings with brute strength and raw damage output. The Swordsman can use several weapons such as dual swords, greatswords, axes, and other types of heavy weaponry. In this sense, the class encourages an aggressive playstyle, always looking to close the gap between their foes and themselves to put them in range of their deadly steel. In a way, it’s a very straightforward and simple class to play. However, beneath a layer of simplicity lies a fighter with many tricks up his sleeve. For instance, the Swordsman can swing his weapons in a wide arc, damaging anyone unfortunate enough to be standing nearby. Furthermore, they can summon their indomitable might to erect a barrier that absorbs damage, bestowing themselves with great endurance. Recommended For: The simple playstyle of the Swordsmen makes them a great choice for players of all skill levels. Both newcomers and vets can use this class with great results. If you’re new to MU, we recommend starting with a Swordsman. No MMORPG is ever complete without a class about flinging spells and wielding the elements to destroy your foes. 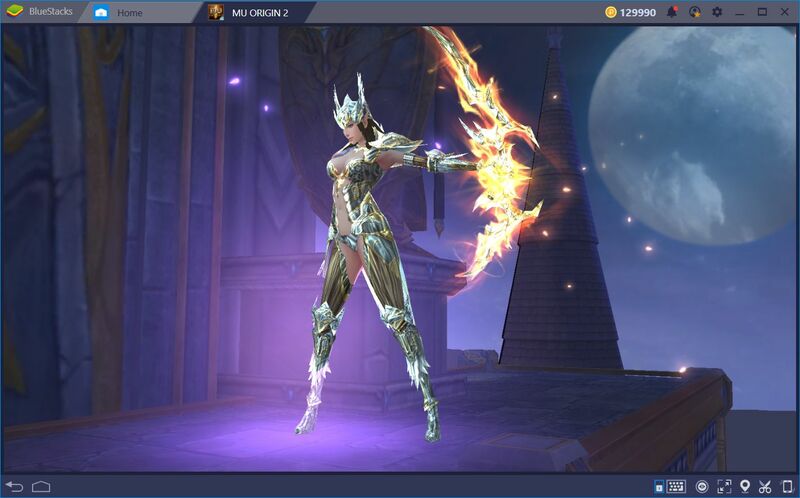 The Mage in MU is a very versatile class focused on unleashing powerful attacks to decimate hordes of enemies in seconds. However, they do so at the expense of their defensive capabilities, which makes it a very fragile class. Almost every skill of the mages revolves around dealing damage: From summoning meteors and tornadoes to unleashing beams of lights and fierce blizzards, your enemies will die a thousand deaths before getting close enough to hurt you. Furthermore, this class can also support their allies somewhat by granting them protective barriers. This skill makes mages a good addition to any team, though their main utility will always be tearing their foes apart. Recommended For: The Mages are very powerful, capable of dealing great damage in seconds. However, they are lacking in defenses and require great skill on the player’s end to unleash their potential. We recommend this class for veteran players that actively seek to train and improve in this game. This class is not well suited for casual players that rely excessively on the auto-battle feature, unless they enjoy dying over and over. 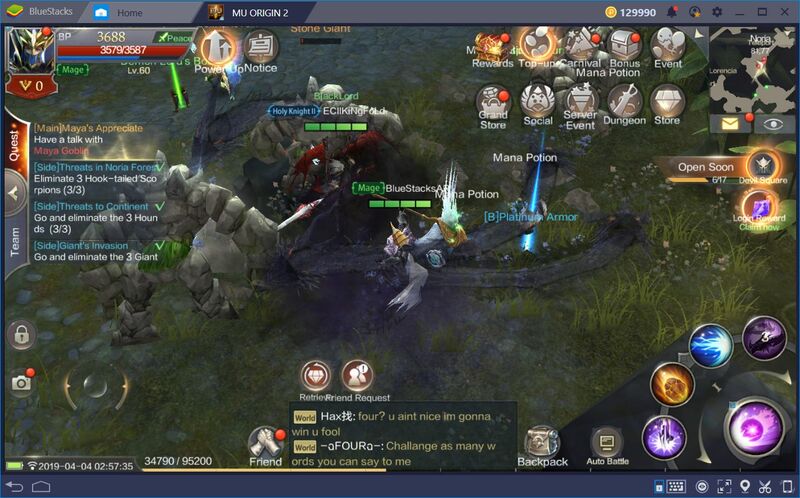 In contrast to other games in the genre, the Archers in MU Origin 2 have many defensive and support skills to aid their team and to complement their arsenal of magic arrows. In a sense, they can be considered as the healers in this game since, aside from the Diviner, they have many skills that can recover HP. But don’t misunderstand: the fact that they have many healing skills doesn’t mean that they are not tremendously powerful in terms of offense. Armed with bow and arrow, this class is much more than what meets the eye. The Archers are more akin to Mages in the way in which they enchant their arrows and summon powerful creatures to aid them in battle. In this sense, it’s common to see Archers not only shooting arrows but also summoning their powerful familiar to tear their enemies to shreds. Additionally, their versatility permits them to apply negative effects to their enemies and debilitate them before putting them down with a well-placed arrow. However, their skills are somewhat difficult to wield since they have high mana costs and long cooldowns. Recommended For: The Archer has many tricks up her sleeve, which allows her to both heal her allies and damage her enemies. It’s an ideal class for those who like to fill a support role in any group. However, in order to unleash their full potential, you must learn how to attack from a distance, as well as train your precision to deal maximum damage. In this sense, they are similar to Swordsmen in that anyone can use them effectively, but require training to master their playstyle. Diviners are what you get when combining Mages with Archers: a powerful class that wields magic to destroy their foes and help their allies. However, in contrast with Mages, Diviners focus primarily on debilitating their foes with conditions before eliminating them. To this end, she has many crowd control abilities that allow her to shepherd hordes of foes while her allies destroy them one by one. They are an excellent addition to any team, especially when it comes to dealing with the most difficult bosses and dungeons. Recommended For: The Diviners are like magic Swordsmen. It’s a class that is easy to use and that offers unparalleled utility to any group. If this is your first time playing, and the Swordsman’s gameplay doesn’t suit your fancy, then this should be your second choice. With the Diviner, you have the best aspects of every other class, packed into a very attractive package. 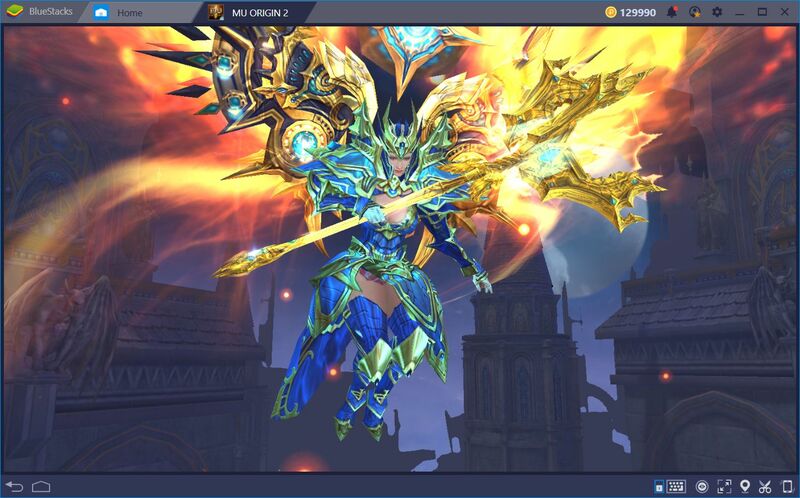 As you may have noticed, the repertoire of classes in Mu Origin 2 definitely has something to suit every play style. What is your favorite class in this game? We’d love to read your comments in the section below!